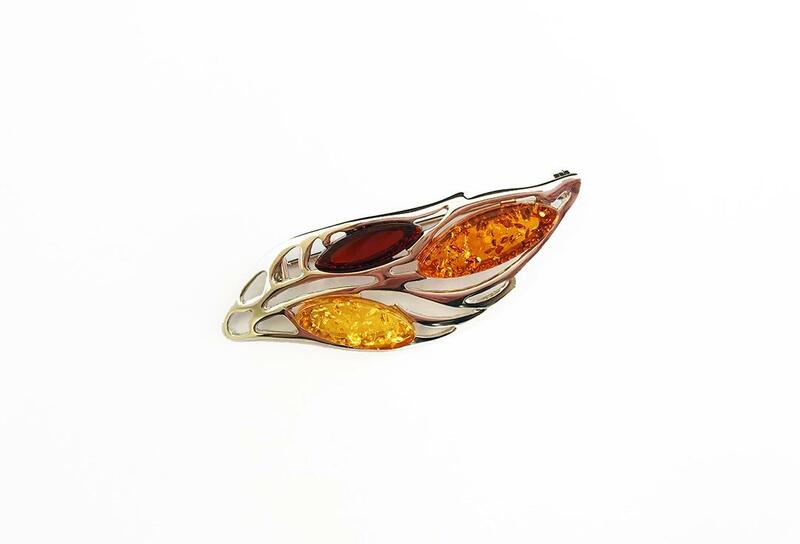 Beautiful Sterling silver brooch, featuring three different coloured amber stones - cognac, yellow and green. This brooch looks great on any lapel! 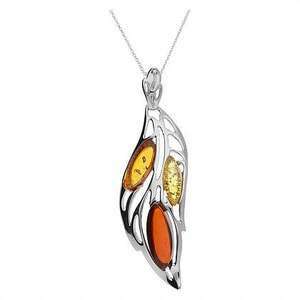 Pair with any of our Amber Leaf pieces for a great set.